Do You Get Bail Money Back? The Truth Revealed! When a loved one ends up in jail and needs to be bailed out one of the first questions people ask is: Do you get bail money back? While most people will jump at the chance to help a friend or relative in trouble, not everyone will be able to afford to post bail. Many have also found that although they had good intentions while helping someone get out of jail it ended up costing them more than they expected. How can someone be absolutely sure that they will get bail money back before posting a bail bond? In this guide we discuss the costs of bail bonds and the fees that are charged by bail bondsmen. More importantly we help friends and family members understand how much of the bail bond money they get back. We also discuss ways to ensure that all of the money is returned without any additional problems when the assigned court date arrives. For those unfamiliar with how bail bonds work, the process is actually very expensive. There are costs and fees involved that can grow to several thousand dollars. If the detainee fails to appear in court the costs to the indemnitor can extend to ten thousand or even over one hundred thousand dollars. Bail bond agencies will collect a fee for their services and this must be paid upfront. There are additional fees that may arise to complete the bail process. Each bail bond must be secured with collateral and should be taken into account in the event that the bond is forfeited. Although collateral is not collected until something goes wrong, an indemnitor must carefully weigh the financial risk involved. The cost of a bail bond ranges between 10 and 15 percent of the bail amount. This payment is made to the bail bond agency to cover the expenses of arranging bail. For example, if a person is released from jail on $20,000 bail the bail bondsman will be paid $2,000 by the indemnitor. Unfortunately this is non-refundable. Often times financing is available from well established bond agencies. In the event this happens the total amount of the bond will be collected from the indemnitor using the original collateral given. 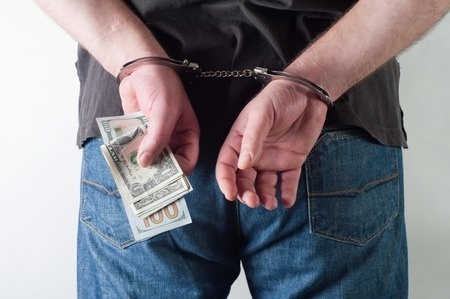 Any expenses that were incurred by the bail bondsman or the contracted bounty hunter will also be charged to the indemnitor. Bail Bondsmen will charge 10 percent of the bail as a fee for their service. This is a non-refundable payment made to the bail bondsman. Many Bail Bond Agents offer payment options and financing. A portion of the bail bond must be paid by the indemnitor and proof of collateral (usually a house) must be supplied before bail will be issued. Collateral is defined as something that is pledged as security for repayment of a loan. In this case, the loan is the total amount of bail. Proof of collateral must be provided to cover the entire balance of the bail bond. The most common form of collateral used is a home. Depending on the amount of bail, an expensive car may also be used as collateral. In the event the detainee does not show up to all required court appearances, the posted bail will be forfeited. At this point the bail bond agent can seize the collateral to collect the total amount owed in addition to any extra fees. When a house is used as collateral the bond agent can take a mortgage against the house for the full amount of the bond. The agent also has the right to take the indemnitor to court to collect the remaining balance of the bond if the collateral provided was not substantial enough. If the indemnitor does not have enough collateral then no bail bond will be issued. In addition to the bail bondsman’s fee, they can also charge the indemnitor for phone calls, gas, mileage and other costs associated with apprehending the suspected criminal. If a detainee fails to appear in court they become the responsibility of the indemnitor and the bail bondsman. Many agencies will hire a bounty hunter to find the suspected criminal in order to get the forfeited bail back. The costs of hiring a bounty hunter, travel expenses, gas and other items will be charged to the indemnitor. Finally we were able to shine some light on the question: do you get bail money back? Friends and relatives of a suspected criminal should now be aware of the total cost involved in bailing someone out of jail. For many people the fees charged by bail bondsman are irrelevant. The time spent with a loved one far outweighs the cost of posting bail. There are of course families that cannot afford to post bail even though they want to. Balancing the cost of posting bail and spending time with family is a tough decision that everyone will need to make on their own with the resources available.